Durga's Delicacies. Charming to those of Refined Taste. – Page 2 – A diary of my cooking experiences to remember, to share and to learn. Broccoli with egg is a yummy side dish . Soup with broccoli is also equally good. The half cooked Broccoli is a pleasure to our taste buds . But in the midst of cooking Indian vegetables Broccoli and cauliflower are always forgotten by me . Luckily while doing the maintenance diet after detox i happened to take note of all soups and veggies around me. Otherwise half of my life would have gone cooking the same monotonous way. How much greedy is my tongue even while dieting? 1. Wash and separate the broccoli flowers. 2. In a pan add oil and saute the broccoli flowers. 4..The remaining flowers when cool should be ground with little water to a smooth paste. 5. In a pan add this paste , half a cup of milk, little water if necessary, salt mix well and boil in low flame. 6. When the soup is hot enough add pepper powder and Italian herbs. 7..Garnish with sauteed broccoli and serve Hot. A simple and filling choice for Dinner . Potato Bonda is a childhood memory and my mother used to make this. We all grew up roaming behind our mothers seeing them cooking and that’s how we all should have learnt cooking. i remember ,that i preferred adding lemon juice to the potato bonda mixture. But my mom will not do that. Nowadays taking into account the whole family’s health and tastes we have to avoid few items some even forgotten. My Daughter prefers less oil items . But my son is like his father always prefers these type of items unmindful of calories. But healthy food means No i am not hunger is his trademark reply. Wash and cut the potatoes into four. Cook the potatoes in a cooker. While it is being cooked cut onion, ginger and green chilli into small pieces. The batter must be thick . If you have any digestion problems add ajwain seeds to the batter. By now the potato must have cooked well. Allow the steam to settle. Take away the skin and mash the potatoes a little. In a kadai add oil. Ad mustard seeds and cumin seeds. Add curry leaves followed by mashed potatoes. Add a dash of lemon juice at the end. When cool make small balls out of the potato curry . Heat oil enough for deep frying . If you have remaining batter go ahead with dipping cut apples, appalams, paneer, bread, potato, onion, brinjal, Capsicum or Raw plantain.. anything in hand and deep fry . Apples slices deep fried .soaked in the batter . A simple sauce would be sufficient for this Crispy Potato Bondas. i am readng a book . A very useful and interesting book which breaks all our notions about cooking and eating. Needless to say that this book is written by a hotelier who is a good chef too. 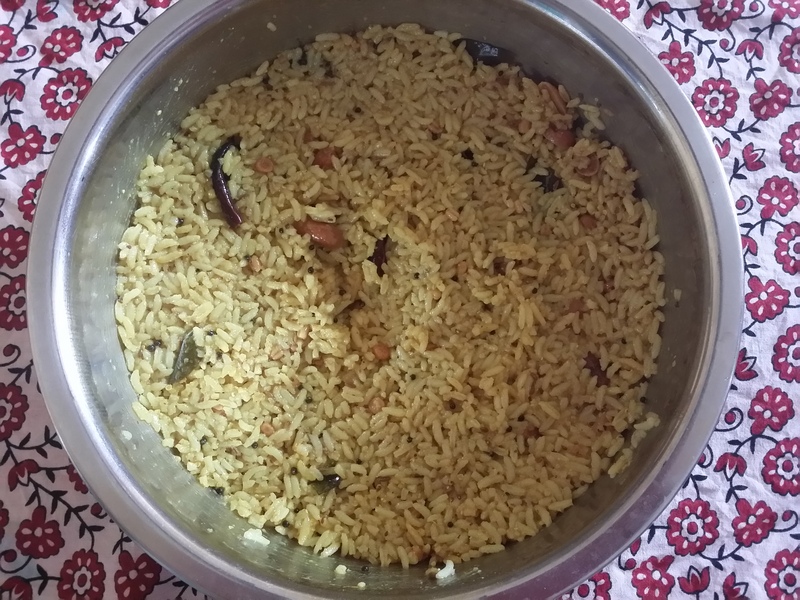 In a section he mentions of the Vatha kuzhambu which we often make with tamarind and sambhar powder. Although good to eat this way of making Vatha kuzhambiu is not healthy. He gives a recipe which is pretty good The usual way to make Venthaya/ Methi seeds Vatha kuzhambu is to roast the methis eeds in oil. Here it is different. So come on let us take a look on how the Venthaya Kuzhambu is made in a healthy way. 1. Soak the methi seeds in enough water overnight. 2. Soak the tamarind in water. 3.Peel the onion and cut tomatoes into small pieces. 4.In a kadai add oil and then splutter mustard seeds. Add small onion and saute well. 5.Add the red chillies and fry well. 6. Meanwhile prepare 2 cups of Tamarind strain. 7. Add the tomatoes to the onion in the pan and fry well. 8.Add the soaked methi seeds along with the water. Add coriander powder, turmeric powder and boil well . 10. Let this mixture boil well. 11. Add curry leaves and salt. That’s it. We get Healthy Vatha Kuzhambu. We can use sprouted Methiseeds too. Kollam Kadalai Curry and Aval Puttu. കൊല്ലം കടലായി കയും അവൾ പുട്ടും.